Eric Doubt hasn't added a story. Martine was 6 months old when I first met her. She was born with no feet. 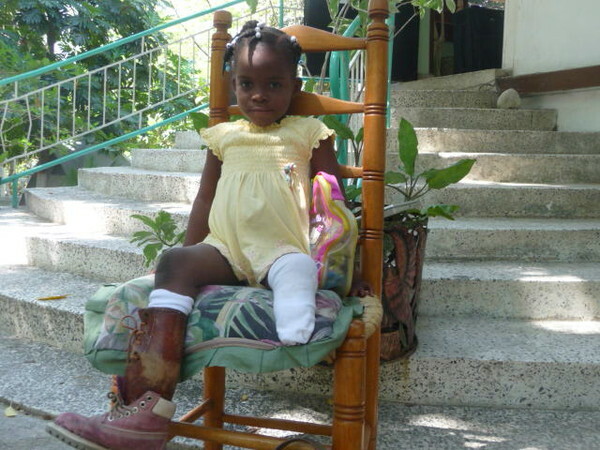 With proper prostheses, made in Haiti, she leads a normal life, although in an orphanage. She and many others, casualties of the numerous causes of handicap (like genetic diseases, stroke, accidents, violence, mental illness) are my inspiration - along with their families, care givers and local and international medical professionals and volunteers, who are their hope and salvation. Before the end of the year I will be going back again to visit Martine, now 8, and to begin interviewing various actors and start writing, photographing and filming the documentary. 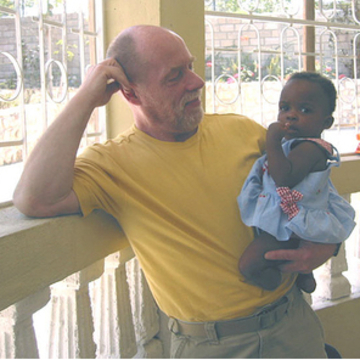 You can follow me on this abilityhaiti blog. The budget for this initial trip is $4000.00 for travel and accommodations. Generous friends and family have already donated $1000.00. A number of other trips will follow. Life is hard in Haiti, even with progress since the earthquake of 2010. Yet, Haitians are the most wonderful, resilient and proud people. Living with a disability in a developing country is often a brutal struggle. Yet, those I've met are among the bravest, most loving people I've known. To research, study and create a compelling, multi-platform documentary and ongoing dialogue respectfully illuminating the subject of disability and persons with disability in Haiti. To raise awareness and resources for work and school reintegration programs and a newborns with disabilities rescue project. To add to the knowledge of the subject in the developing world. What is the 'story' - it's complex and complicated and needs in-depth research to bring it into the light. It will be a comprehensive investigation into the human, historical, social, ethical, cultural, medical, economic and political aspects of disability in Haiti, with a special focus on the most vulnerable - abandoned orphans with disabilities. 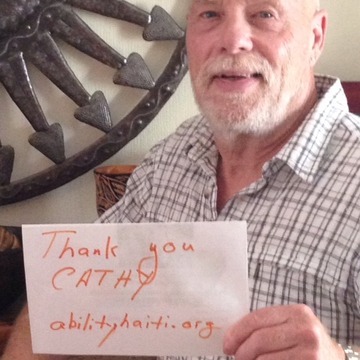 AbilityHaiti is the project name. abilityhaiti.org (TBA) is the web site. "Cocobai* - Ability and Disability in Haiti" is the title of the video documentary. *A derogatory Creole word for the handicapped, meaning 'worthless' or 'disgraced'. Develop a real time web site reporting on the progress of the documentary, while raising awareness of and funding for the project and future foundation. Ensure that the project is Haitian centric with the maximum participation from, partnerships with and benefits to Haitians, including those with disabilities, their care givers and families. Leverage the documentary to increase awareness of persons with disabilities to fundraise for a future Foundation for the Most Vulnerable in Haiti. The goal of the foundation will be to fund treatment, support and education. Leverage all the outcomes to raise awareness of similar phenomenon in other developing countries. Sub targets – Haitian diasporas/associations, governments, foundations, corporations, NGOs, media. Point of view / Introduction - why am I doing this project and what is it about? Persons with disabilities (those who live with one or more of a wide range of physical, sensory, intellectual or mental health impairments) are among the most vulnerable in humanity. Among the worse off of these are the children with disabilities. And the most vulnerable of all are the rejected, abandoned, abused, helpless, disenfranchised orphans with disabilities. Disabilities occur in a wide range of forms – physical, intellectual, emotional, psychological – and have many causes including trauma and injury, disease, genetics, poverty and deliberate harm. Persons with disabilities in Haiti exist at the bottom of the human strata piled high above them. They are at the very bottom of the world’s bottom billion(1), those subsisting on less than $2.50 U.S./day. Underneath them are the totally helpless abandoned infants and children with hydrocephalus, club foot, cerebral palsy, amputations, Down syndrome, deafness, blindness, malnutrition, congenital heart defects– the list is very long and certainly includes broken hearts and minds. And the list grows with age. Adults who continue to survive childhood disabilities or who have become afflicted, robbed of normalcy later in life – by strokes, spinal cord injuries, traumatic accidents, crippling diseases and many other disabling conditions - face mountainous challenges, from physical and economic deprivation to overt discrimination and insidiously silent biases and social rejection. Once you encounter Haitians with disabilities, some 800,000 (2) before the earthquake, and more than 1.1 million today (3), they become our neighbours, existing as they do in North America, right in our own backyard which, for most of us, is only a few hours from the homes, hospitals, schools, churches, shopping malls, health clubs and movie theatres that we have the privilege to enjoy. Once felt and understood, this epiphany is transformed into compassion without borders. It’s called empathy. Only then can there be dedicated thought and action to reach down to pull up the crushed from underneath us, along with the ignorance skulking in the depths of our own humanity. 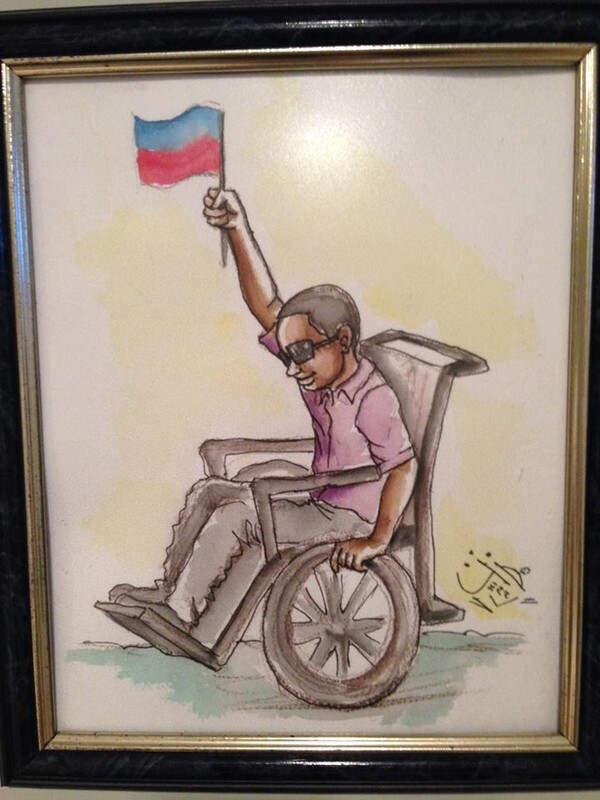 It is a hopeless act to document the pathos and pain of persons with disabilities in Haiti without fathoming context and causes, remedies and ongoing solutions. In fact, since the consciousness shaking earthquake of January 2010, the rate of improvement within the country, in social awareness, government legislation and medical infrastructure directed towards restoring and improving the lives of persons with disabilities, is measureable and has momentum. 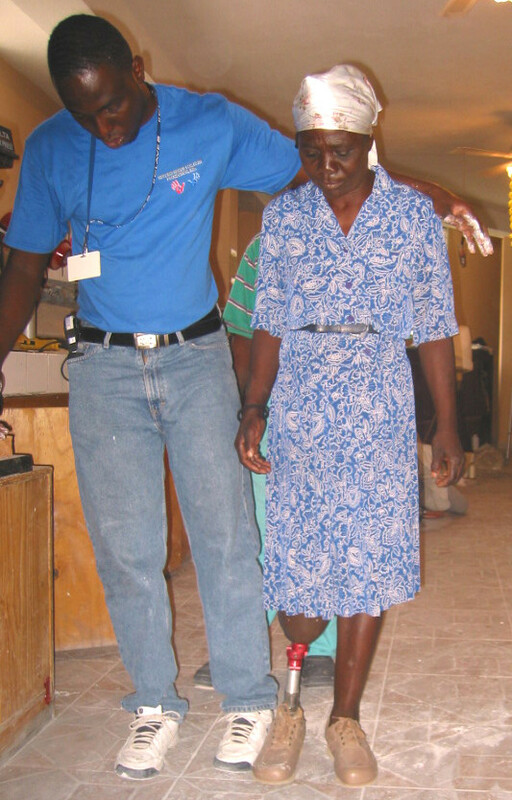 Globally, the specialized and comprehensive fields of physical medicine and rehabilitation therapy are as invigorated as any in medicine and offer healing tools and programs, technologies and promising research to bring hope and solutions to even the most geographically, politically and socially isolated and destitute places in the world, including Haiti. To muster the herculean efforts and resources required to make it better and bring equality of life to all children and adults with disabilities, whom this documentary will speak for, provides a forum for and bears witness to, remains one of the most important and seminal challenges of our times and a test of our civilization itself. To the extent that Haitians can lift up their wounded today, they will be able to lift up their country tomorrow and if the rest of our North American community can’t learn how to more effectively support our most vulnerable neighbours, humanity will bury its own soul along with its victims beneath the weight of a collapsed morality. I will be applying for charitable organization status with the CRA soon. Updates to follow. Thank you for your consideration and helping to tell the story of persons with disabilities in Haiti. 1. Collier, Paul; The Bottom Billion, Oxford University Press, 2007. Eric Doubt hasn't posted any updates yet. A pic that shows you helped get me there, and depicts progress of the project. Something you can also share. Will be emailed from Haiti. Eric Doubt is managing the funds for this campaign. The campaign is for a personal cause.